I am pleased to announce that Flint (Marahootay Linx Under Tatkresiwok) won his first 1st place ribbon (thanks to a lot of help and advice from Simon from Wintablizard). 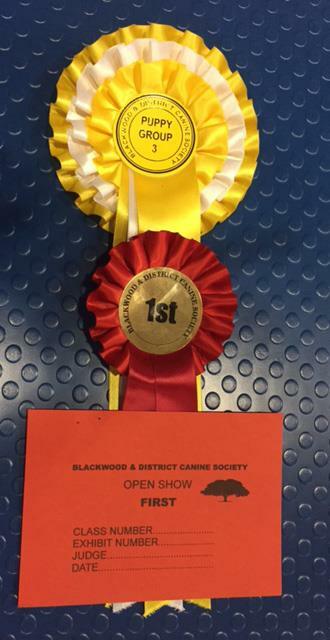 Flint also won 3rd in the puppy group and it was only his second show. Very proud of my boy and it was nice to spend it with Simon & Emma who advised us on a lot of things.